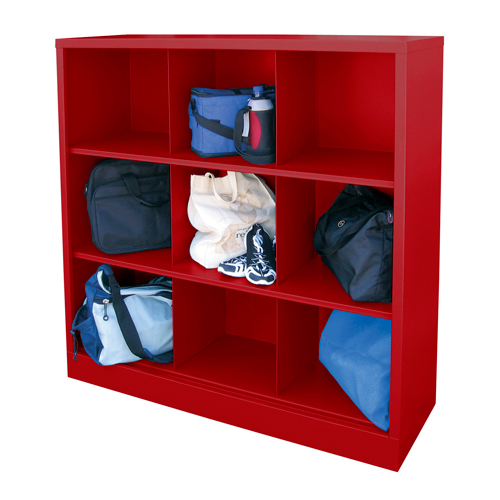 Heavy duty, welded all steel Cubby Cabinet available with 9 or 12 storage sections. Ideal for visual organization. Each opening is 14 ½” Wide x 17 ½” Deep x 15”High. Powder coat finish available in 17 colors. GREENGUARD CERTIFIED.